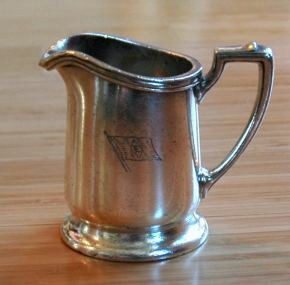 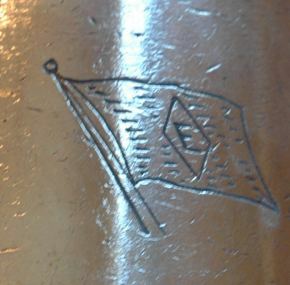 American Export silver creamer likely from the early days in the company history. 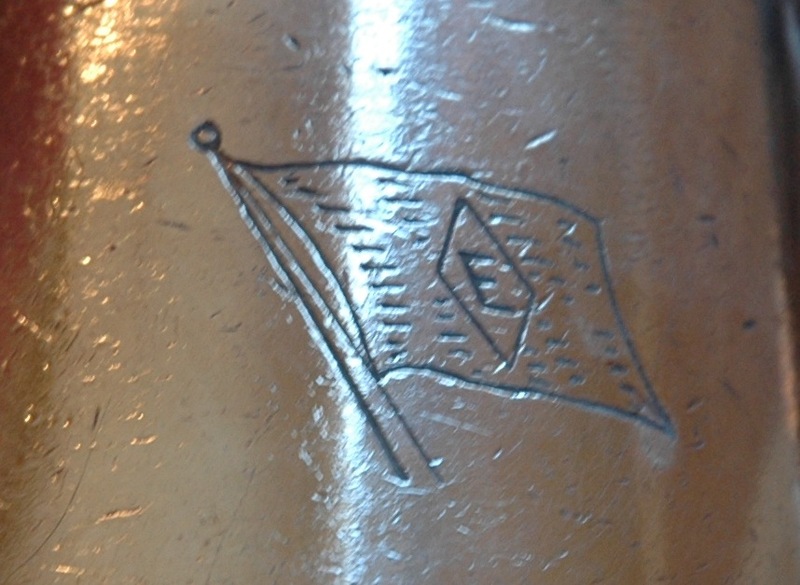 Made by Reed and Barton and sporting a nice American Export logo on the side. 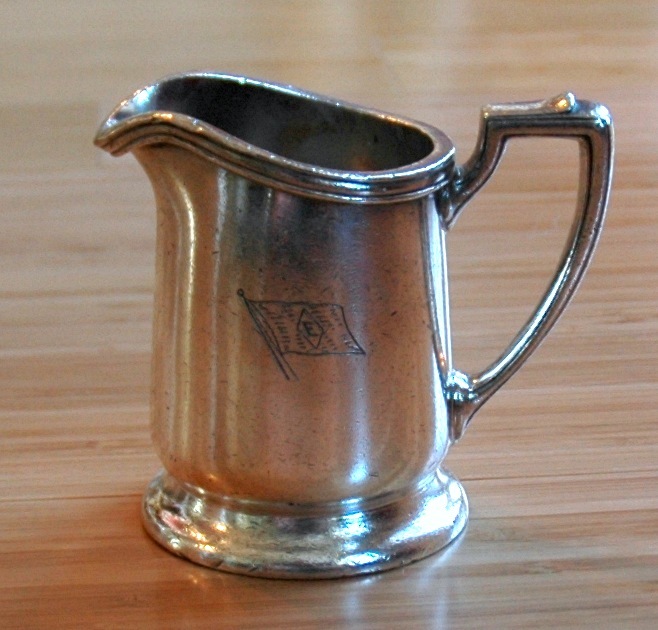 Holds 8 ounces, and aside from the typical use marks, it is in very good condition with no loss of plate.